Two girls implicated in the April 2016 hacking death of a 65-year-old Non Pariel pensioner have been given the chance of a new life in Canada following negotiations. Stabroek News was reliably informed that after arrangements between officials of the two countries, the girls, who are both naturalized Canadian citizens, departed these shores for Canada where the younger girl was placed in foster care. The elder of the two, Nalini Manikam, a daughter of the deceased pensioner, has been living with relatives and is in the process of putting measures in place to further her studies. 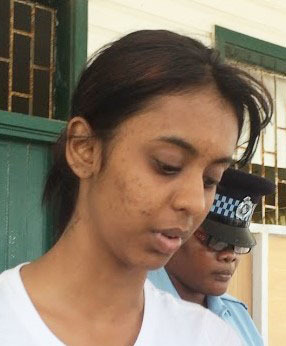 Nalini Manikam, then 19 years old, and the 13-year-old girl, were in 2017 committed to stand trial for the murder of Non Pariel pensioner Roger Manikam. Nalini’s boyfriend, Veeram Lall Dias and his friend Devon Brown were also at the same time committed to stand trial for the gruesome murder. 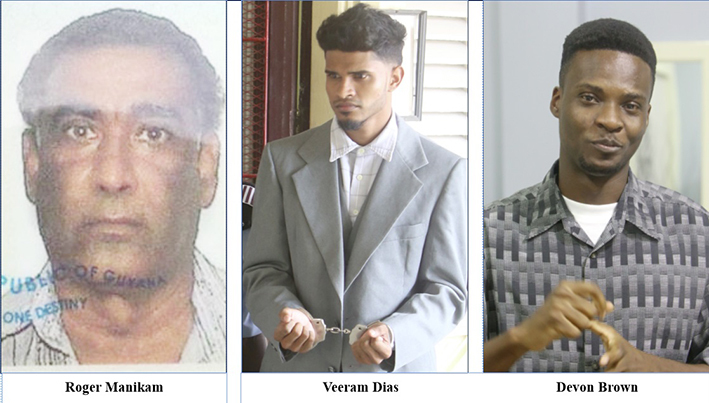 They had been jointly charged with murdering Roger Manikam, 65, on April 3, 2016, at Non Pariel Railway Embankment, East Coast Demerara. A post-mortem examination had revealed that Manikam died as a result of brain haemorrhaging due to blunt trauma to the head. He had been discovered near a drain, some five corners from his house, along the Coldingen Embankment Road with a wound to the back of his head. 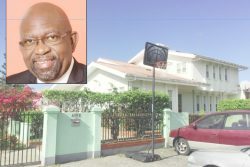 Presenting the prosecution’s case against Dias and Brown in the High Court, state attorney Mandel Moore said that Roger Manikam was lured into the kitchen of his 237 Section B Non Pariel house by Dias, Nalini’s reputed husband, who also lived at the address. The court heard that there, Dias unleashed blows on the man, hitting him to the head with an axe. Although the man fell, he thereafter continued inflicting more blows. The prosecutor said that sometime after, Dias called his friend Brown to the scene and they both placed Manikam’s body in Brown’s car and drove to the Coldingen Embankment Road, where they dumped the body. 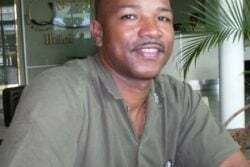 Dias pleaded not guilty to the charge of murder but admitted instead to the lesser count of manslaughter, accepting that he had unlawfully killed Manikam and was in April of this year sentenced to 14 years in prison. However, those years were brought down to 12 after the court took into consideration the two years he had spent on remand and that time was subtracted from the 14-year sentence. For his part, Brown admitted that he, knowing that Dias, Nalini Manikam and another person had murdered Roger, did on that day and thereafter, receive, relieve, comfort and assist them. He walked out of the court in April a free man after the judge informed him that he would be granted remission for the two years he had been awaiting trial. Two years is the maximum penalty for the crime of being an accessory after the fact. Both men had thrown themselves at the mercy of the court, accepting responsibility for their respective roles in the crime. 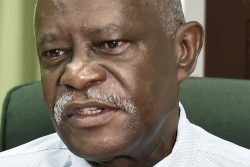 Sources close to the case told Stabroek News that following the completion of the trial against Dias and Brown, an agreement was reached between the state and Canadian officials and the girls were released and sent to Canada. It was related that the two girls had lived in Canada with their mother and had obtained citizenship. After their mother died the older Manikam returned to Guyana with the two girls. The sources informed that the Canadian authorities had played a vital role during the trial and ensured that the two girls were taken care of and reports on their welfare given. They also stood the expenses of getting them to their naturalized homeland.